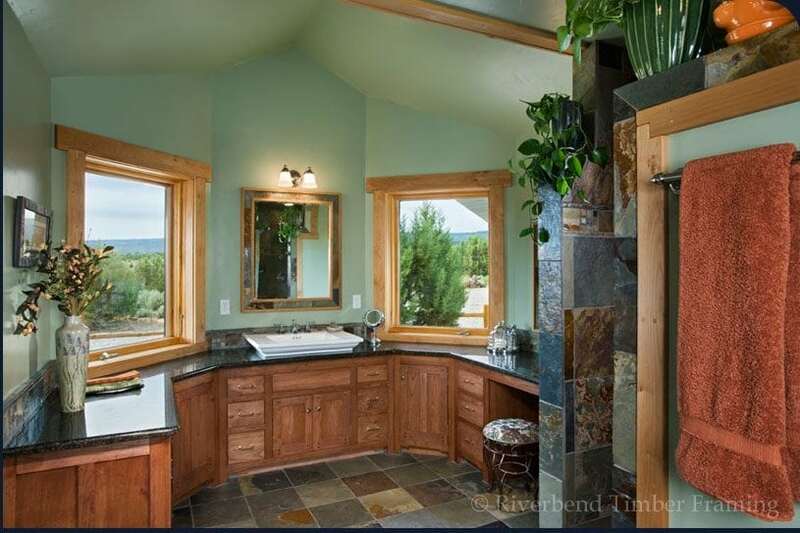 In contrast to the open spaces, sweeping ceilings and beautiful connections that are customary of traditional timber frame homes, a bathroom is that quiet area of solitude, away from it all. Whether you are designing a guest powder room or your private master bath, there is a lot of planning that should go into making this space as comfortable as the rest. Here is a checklist Timber Home Living Magazine has put together, of factors to consider during the early design stages that can ensure that all of the comforts of your home will extend to its more private rooms. As with the rest of your home’s construction, location is key in design. If you are looking to include a guest bath in your floor plan, you won’t want the sound of flushing toilets right next to your dining space or adjacent to where you prep your food. Consider a short hallway or a corner tucked away from high traffic areas to install a powder room. If you are building a multi-level home, consider stacking your bathrooms on each level to limit the need for additional plumbing costs. 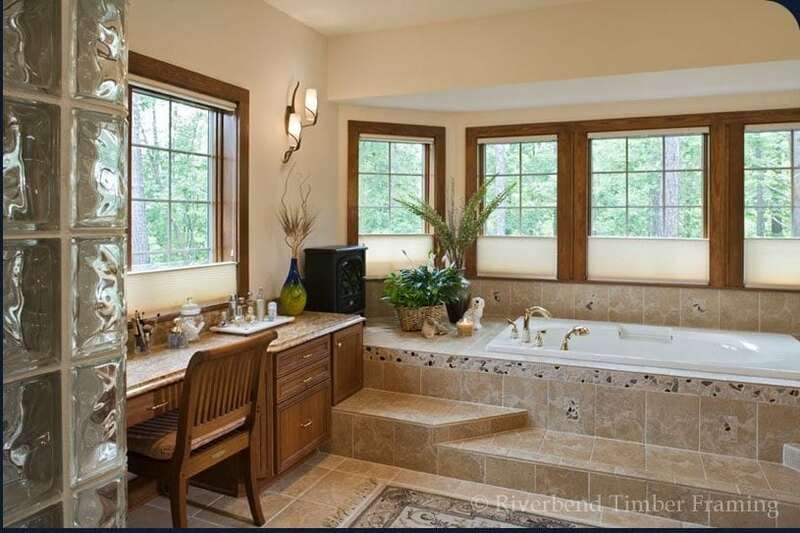 Believe it or not, local and national building codes extend to bathroom requirements as well. Depending on where you build, your area’s codes may call for you to have a certain amount of clear space in front and between your toilet and sink. Codes will also dictate how many square feet your bathroom must have to be considered a full or half bath. By getting into contact with your municipality, you and your designer can be aware of these codes early on and plan accordingly. Local and National building codes are also quite clear for a room’s electrical outlets when wet conditions are present. By educating yourself and your designer on restrictions such as outlet height and proximity to wash basins, your bathroom design and construction will be smoother in the long run. How you design for storage is determined by how you plan to use your bathroom space. Are you looking to build a simple half-bath with limited need for storing personal hygiene items, or do you want a space that will accommodate and hide your entire bathroom needs – from soap to toilet cleaner? When you make a clear assessment of what functions you want your bathroom space to fulfill, this will greatly affect the level of storage you include in the room. These are just a few tips Timber Home Living thinks are necessary to consider when designing your bathroom. 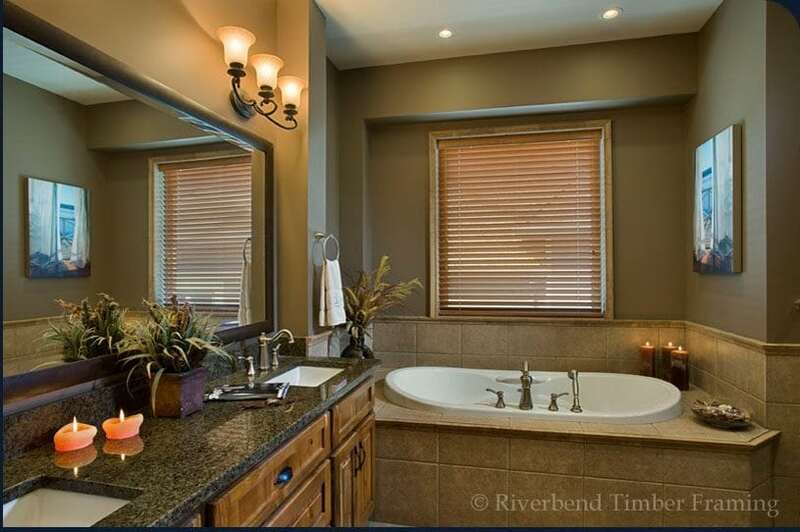 For more information and tips for design, please visit their website: http://www.timberhomeliving.com/bath-design-checklist/.